The holidays are coming, and you can support your lodge at the same time you purchase your holiday gifts! 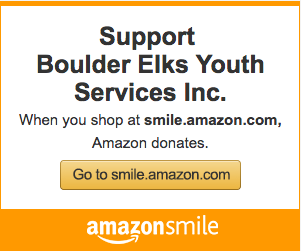 Just start your shopping at smile.amazon.com, and select Boulder Elks Youth Services as your designated charity. Amazon will donate 0.5% of eligible purchases to our lodge.